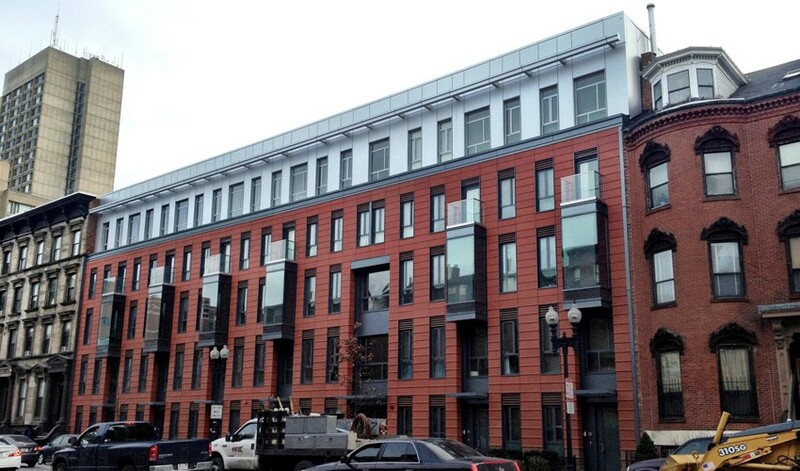 Located on Massachusetts Ave. in Boston’s South End, this 45,000-square-foot luxury development features 40 residential units, ranging from loft studios to one- and two-bedroom condos to luxury penthouses. The architect’s design intent for the development was to honor the historical context of the South End while also recognizing the ever-evolving culture of the city. Sunrise was able to assist in that vision through our install of the complete NBK terra cotta facade with EFCO curtainwall. General Contractor: Turnkey Development, Inc.